I am counting down...4 more to go and then on to the Christmas cards. I love this scripty font set from Mama Elephant called Make a Wish. 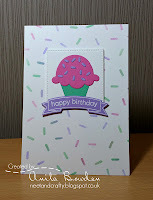 I've adorned it with some flowers for bunch of girly birthday cards. I am entering this last on to the CAS on Sunday Challenge: Flowers. 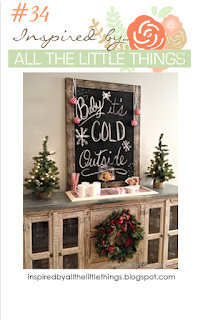 This is a new to me challenge that I was introduced to by my blogging friend Greta. Two recent birthday cards mailed out. I have 5 November birthdays, and 5 December birthdays to make cards for...and the Christmas cards aren't done...now that is crafting (job) security! No matter who it is you are choosing, please remember to vote today! Finally all my fall commitments are done, and I have several weeks at home. I can dig in and craft my Christmas cards. The fall / Thanksgiving cards are done...I send only a few of those out. Thanksgiving cards to the family and fall cards for blogging friends. This card is for two challenges. 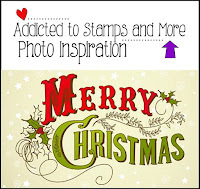 The design comes from Case this Sketch, and the theme comes from Addicted to Stamps and More: Holiday. My supplies were simple, clear and silver embossing powders, Hero Arts Silver ink, Distress Ink in Chipped Sapphire, Versamark, the stamp set from Stampin Up called Star of Light, and a bit of masking paper and the misti to stamp versamark over the colored inks so the embossing powder would stick well. 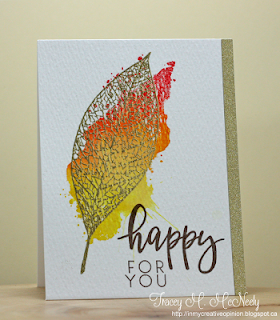 During September Betty sent me a packet of wonderful fall themes goodies and a challenge to make two cards. You can see those cards in this post and this one. 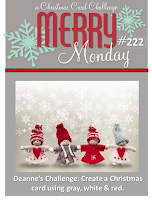 I then sent her a package of winter themed goodies and gave her a challenge to make two cards. I also made two cards from mostly the same items. I might have added another die cut or two, but the color scheme is the same. I asked Betty to feel free to supplement from her own stash. It was a lot of fun exchanging card kits. 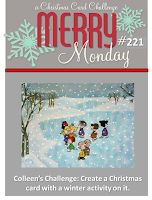 If you haven't come from Betty's blog, be sure to hop over there with this link.